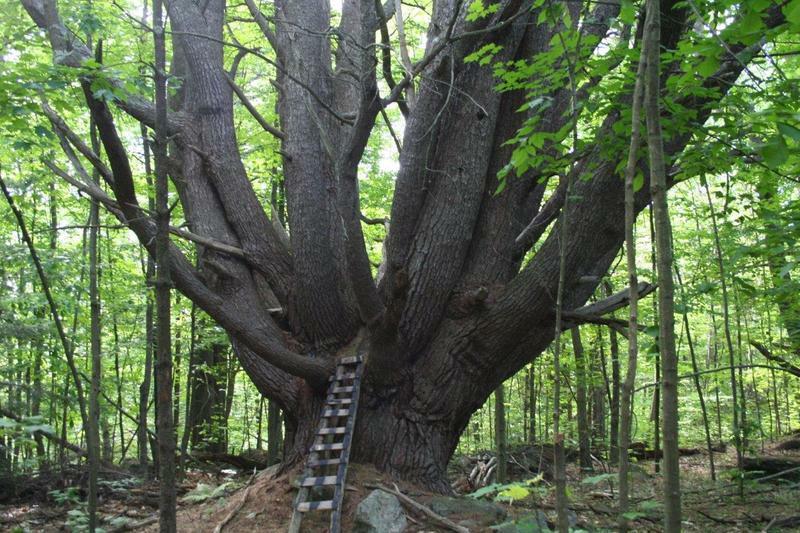 Do you know New Hampshire is home to seven national champion “Big Trees?” These are the largest examples of their species discovered nationwide. New Hampshire hosts the largest black locust, mountain-ash, pitch pine, eastern white pine, black spruce, staghorn sumac and black birch in the entire US. 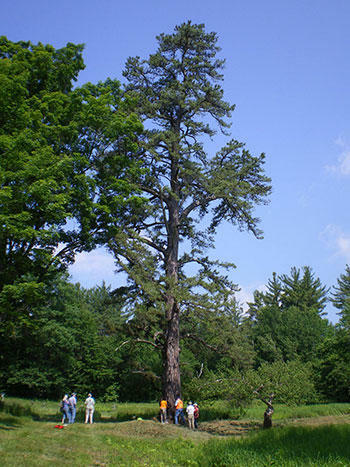 They’re among 760 champion trees documented by The NH Big Tree Program. 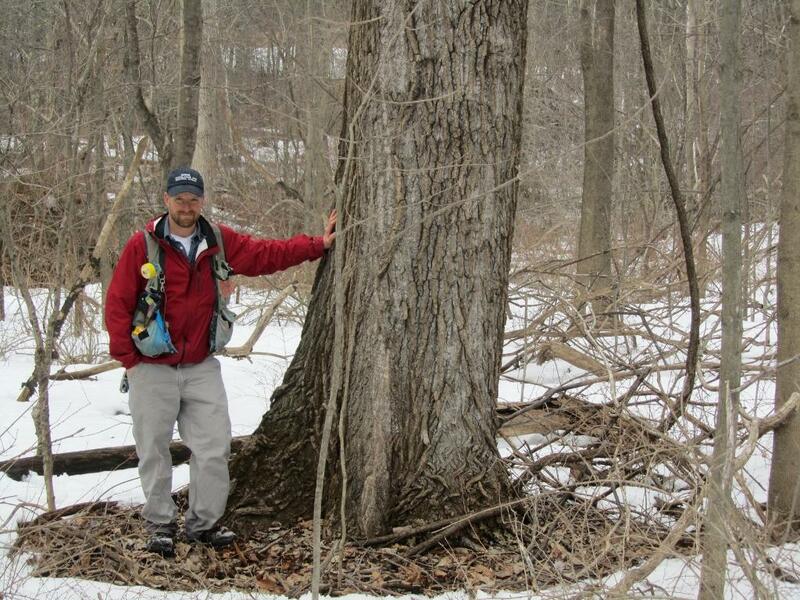 A recent American Forests magazine featured NH's Big Tree program and highlighted efforts by dedicated volunteers searching for the biggest trees in the state. 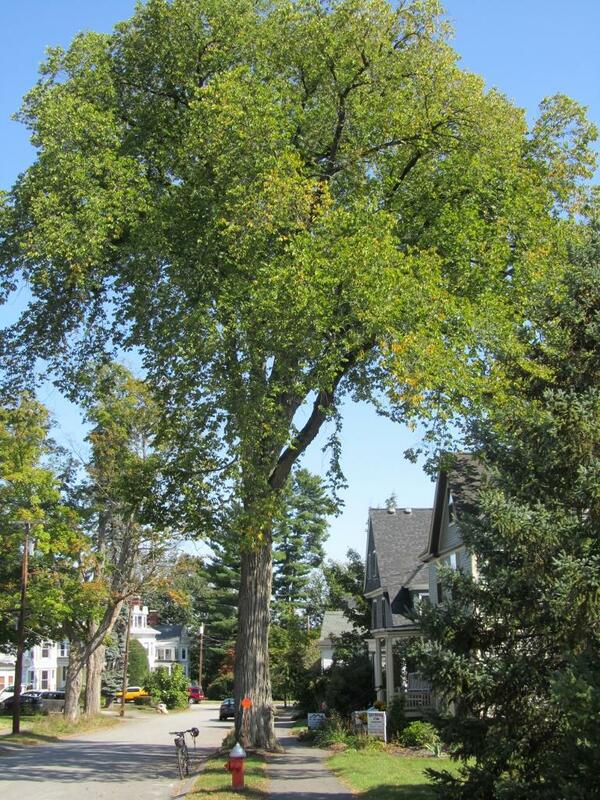 Concord hosts several giants including the State champion American Sycamore prominently located at the Kimball-Jenkins estate. 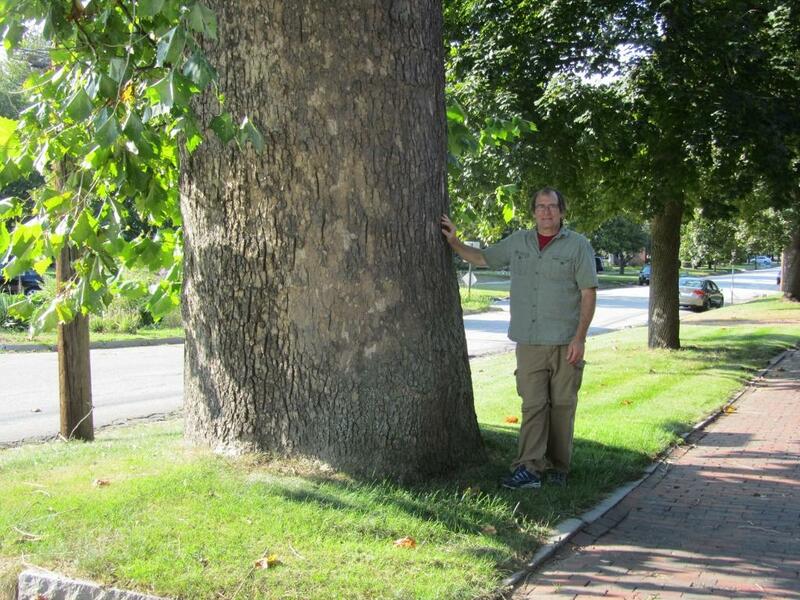 A walking tour of "The Big Trees of Concord" includes several stately shade trees located in leafy neighborhoods of the State capital. 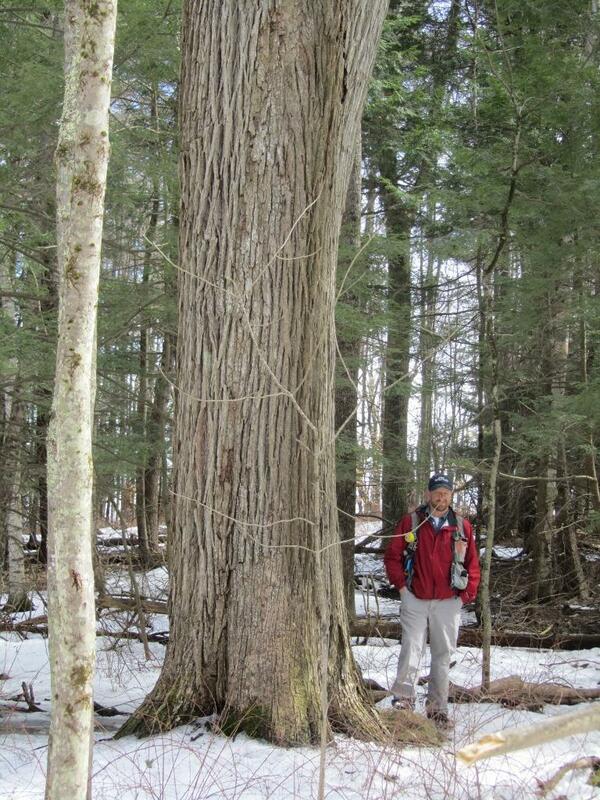 NH's big trees are not yet a big tourism magnet. 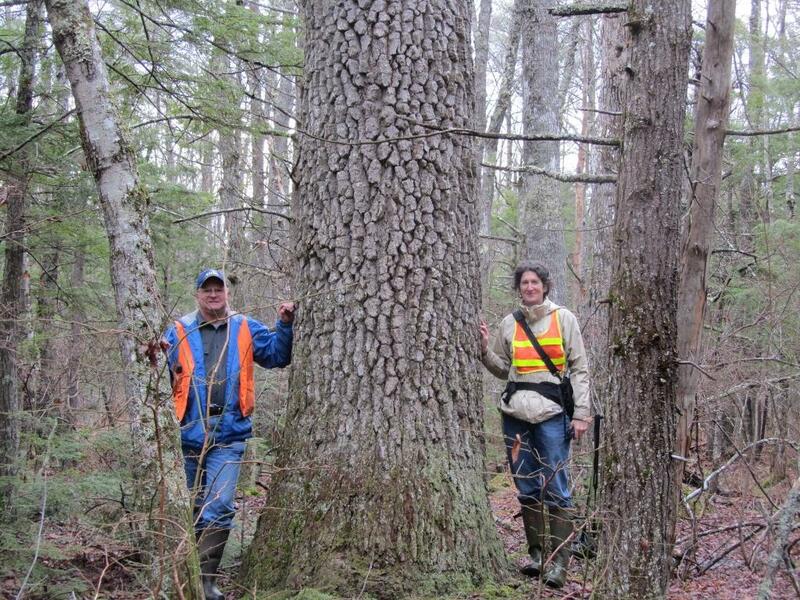 But for volunteers, finding, measuring and reporting the locations of big trees becomes an obsession. Tree scores by species use a unique point system based on the sum of the height, circumference of the trunk and an estimate of the average crown spread to create a combined score - for an "apples to apples" comparison! It's the most unusually-shaped trees in the forest that fire the human imagination. After all, the misshapen, warped, multi-trunked, split and hollowed trees have long been favored as homes by woodland cartoon figments: elves, dwarfs and ogres - not to mention Pooh bears, Piglets and wise old owls. Memorial Day Weekend is late for trees to unfurl tiny, tender pale green leaves. Yet trees growing at the highest altitudes of our State's White Mountain National Forest are among the last to leaf-out each spring. 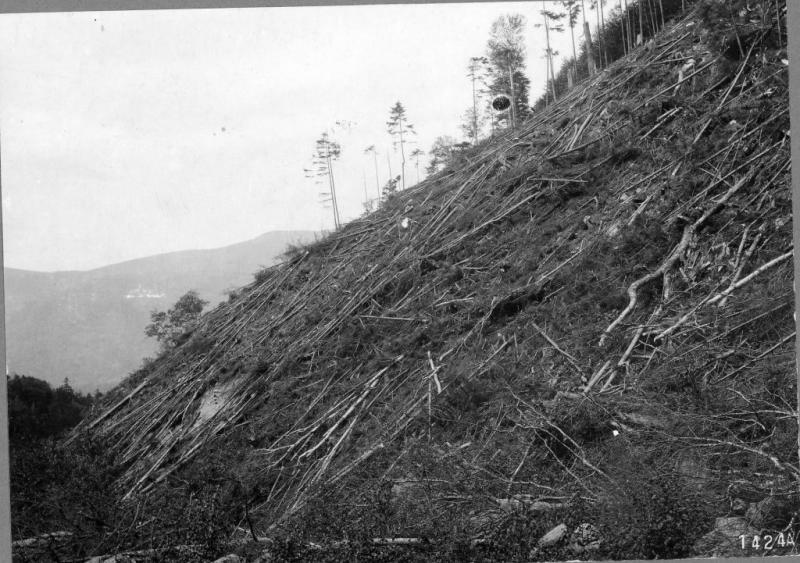 Hikers are familiar with a curious phenomenon only conspicuous in late spring and again during autumn foliage season: faint diagonal stripes - like a barber pole - appear on forested flanks of many White Mountain peaks.